Traffic Ticket Defense in Crawford, New York Where Will Your Case be Heard? Crawford is a town located in the northwest corner of Orange County, New York. Routes 17K, 52 and 302 run through Crawford. If you were pulled over for speeding on one of these roads, or on any other local road, you should discuss your case with a qualified traffic lawyer. 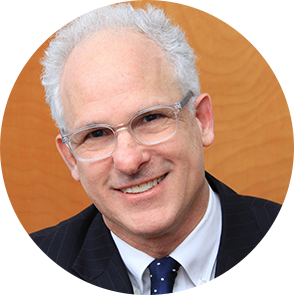 I am Jonathan Katz and, for more than 36 years, I’ve successfully represented clients fighting traffic violations in Orange County NY. Most traffic charges in Crawford Town Court will not require you to actually appear in court. Although you won’t necessarily need to show up to court to fight your ticket, that doesn’t mean you should simply plead guilty and pay a fine. It is almost always in your best interest to first discuss your case with a qualified traffic lawyer who can appear in court and fight the ticket on your behalf. When I represent you in Crawford Town Traffic Court, I will attempt to negotiate with the prosecutor and/or police officer on your behalf and, if necessary, fight your traffic charges at trial. I have more than 36 years of experience defending clients against traffic tickets in courts throughout New York, including Orange County and Ulster County. Even if you think you are guilty, do not make any decisions about how to proceed with your case until you have spoken with me. Statistically speaking, having a skilled attorney on your side can have a profound effect on your chances of beating a traffic ticket in Crawford, New York. If were stopped by a traffic cop in Crawford or any other town in Orange County, New York, you may be feeling stress about how a conviction may impact your insurance premium. I appear in courts throughout Orange County every day and defend NY drivers, out-of-state drivers and even Canadian drivers who have been charged with serious traffic offenses. What Will Happen in Crawford Town Traffic Court? Pre-Trial Negotiations: After I ascertain the facts about your traffic stop, I will get to work developing a strategy for your defense. Before trial, I will speak with the police officer who ticketed you and/or prosecutor at Crawford Town Traffic Court. Traffic cases usually involve the police officer, the prosecutor and the judge. If the police officer committed a procedural error any other major mistake before, during or after your traffic stop, I will attempt to get the charges dismissed. Even if no mistakes were made in your case, I may be able to get your charges reduced to a non-moving violation or merge multiple traffic violations into a single traffic offense. Case Goes to Trial: I will prepare your case with the expectation that it will go to trial. Even if your case does not eventually reach the trial stage, my preparation gives me an edge during pre-trial negotiations. If the case does go to trial, I will fight your ticket in Crawford Town Traffic Court and hold the prosecutor and the police officer to the highest possible standards of proof. A traffic conviction in Crawford, or anywhere else in New York, can have severe consequences that hinder your ability to drive now and in the future. If you are convicted of a moving violation in New York, you could end up with points on your license; too many points will lead to license suspension. Even if you are accused of a minor traffic violation, keep in mind that these points can add up quickly because patrol officers won’t hesitate to cite you for multiple violations on the same ticket. Moreover, any sort of traffic conviction on your driving record could lead to a spike in your auto insurance rates. That’s why you should speak with Jonathan D. Katz, Esq. before you plead guilty or pay a traffic fine. You can reach me now at (866) 265-0222 to discuss your case or schedule a consultation at my office in New Paltz, New York.